While you are enjoying your weekend, especially this big weekend of Mardi Gras in Galveston and you are knee deep in the weekend festivities, police across the South Texas area are getting ready as well. Law enforcement is known to increase their patrols and DWI enforcement on high travel days and weekends in an effort to keep the roadways safe for all motorists and pedestrian traffic. As such, when you are heading out on a Friday or Saturday for a night on the town, it is best to have a plan in place. Your plan may include having a designated driver or another safe way to get from Point A to B.
I assure you that Mardi Gras weekend will be a No Refusal Weekend and the Island and Interstate 45 will be peppered with cops from all over the State of Texas ready to give you a DWI! Another suggestion is to leave your vehicle at home or stop drinking well before you attempt to drive to your next destination. If you happen to find yourself in an inebriated state, do not attempt to drive; instead invest in a taxi or car service ride home. The third conviction for DWI IS A FELONY and carries a fine of up to $10,000, two to ten years of jail time, up to two years of suspended driving privileges, and a $2,000 surcharge for the subsequent three years to keep your driving privileges. With the increase in patrols and checkpoints during the weekends and on high travel days, drivers are best advised to have other options for getting around safely instead of taking the risk of driving while intoxicated. If stopped, and the police have cause to believe the driver is intoxicated, the officer will likely conduct a field sobriety test and request either a breathalyzer or blood test to determine the level of alcohol content in the driver’s system. In Texas, a blood alcohol content (BAC) of 0.8 percent is evidence of driving while intoxicated and the driver will be subject to arrest. Please note that refusal to submit to either a breathalyzer or blood test could be used as evidence against in court at a later date. Mardi Gras is a big big time on the Island but remember to be careful on the roadways this and every other weekend. Ensure that you utilize alternative options of getting around town when possible. And if you find yourself fighting against DWI charges, contact one of our experienced lawyers to help you defend your legal rights. 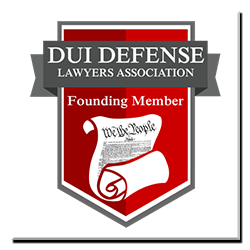 We have been defending against DWI cases in the South Texas area since 1992.